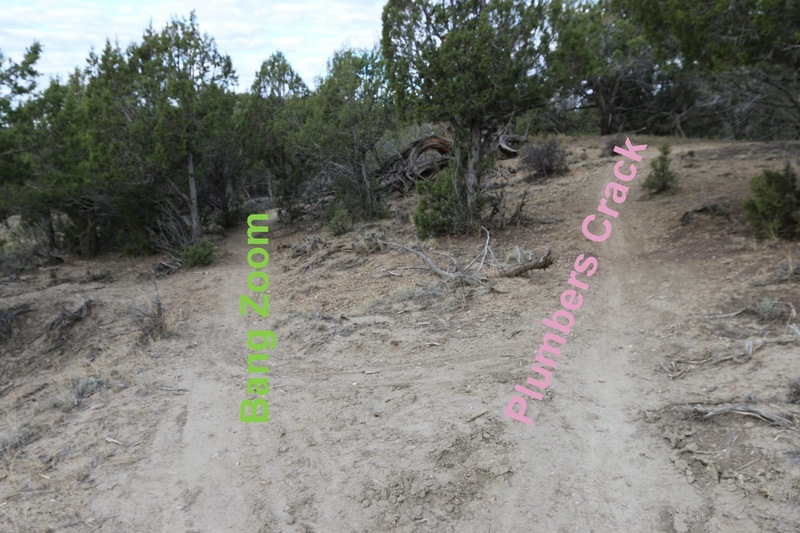 The Bang Zoom trail is part of the Jumbo Mountain Trails System in Paonia, Colorado. 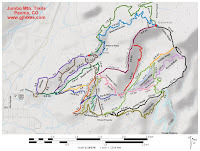 It begins near the start of the Plumbers Crack trail where it follows an easy route through the trees cutting across the Pipeline Road and the Zip-N-Out trail and coming to an end at the start of the Herfendoodle trail. 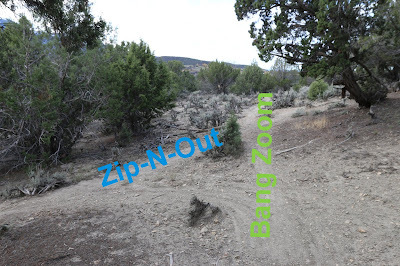 Bang Zoom branches off of Plumbers Crack a little over 100 yards from where that trail splits with the Ridge of Doom trail. The trail takes a well secluded route as it works its way through the mostly juniper forest. While the terrain isn't flat the changes in elevation as the trail dips in and out of shallow washes and crosses small ridges are more fun than challenging. 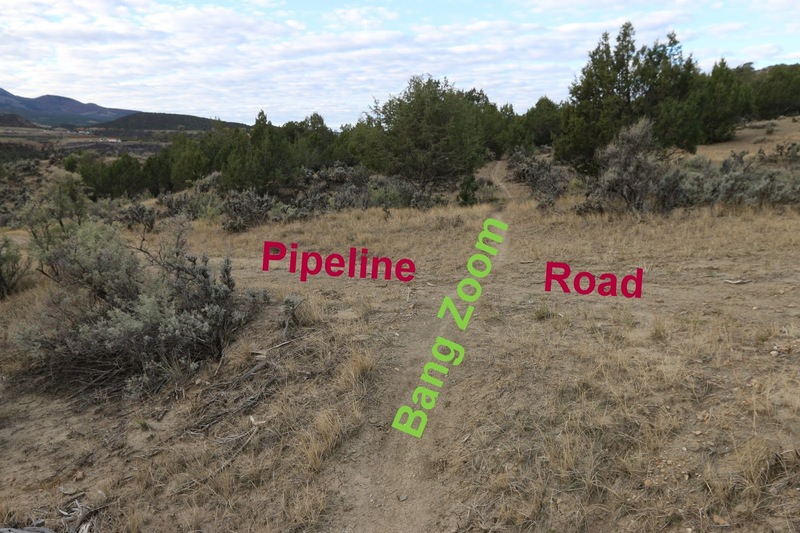 Before reaching the quarter mile point Bang Zoom crosses the Pipeline Road and keeps going. Once across the Pipeline Road the trail continues much as before. Near the 0.3 mile point a cutoff trail branches off on the right that crosses Horseshoe Ridge and connects up with Zip-N-Out. A short distance past that Bang Zoom crosses Zip-N-Out. From there Bang Zoom continues around the hill below Horseshoe Ridge. As the trees thin out this juniper tree has found plenty of room to grow to a massive size compared to others in the area. As Bang Zoom comes to an end it transitions into the Herfendoodle trail at an unmarked intersection where another short spur branches off on the right that climbs up to the end of the Horseshoe Ridge trail. On the day that we were taking the photos for this post we kept going on Herfendoodle and after knocking it out we picked up 7 Bridges and Wapiti Whip before making our way back to the trailhead via Zip-N-Out. 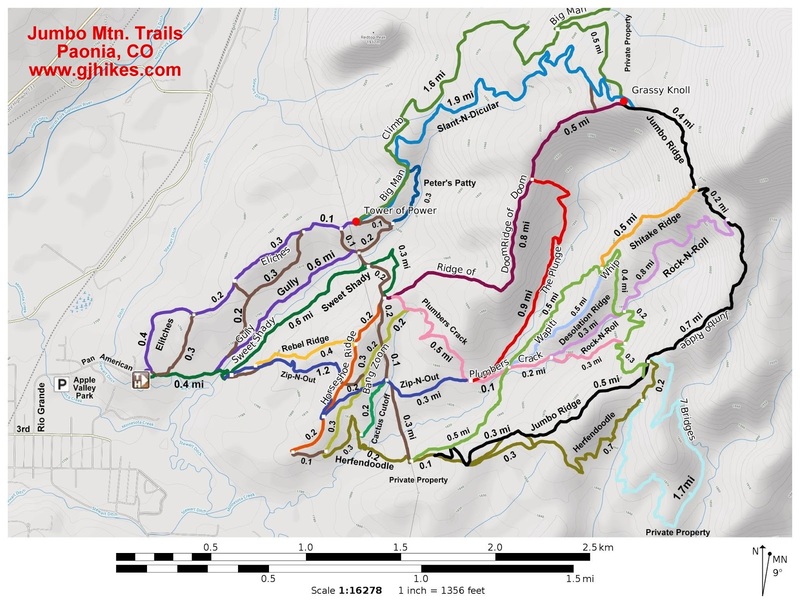 There are so many interconnecting trails that the options seem endless. If you would like to see it for yourself then all you have to do is grab your bike or 'Take a hike'.